The BJP and Congress are leaving no stone unturned in wooing the people ahead of Lok Sabha Elections 2019, which are scheduled to be held in seven-phases. The polling for the first phase will be held on April 11 and counting of votes will be done on May 23. Earlier in the day, Rahul Gandhi declared his love for Prime Minister Narendra Modi, while addressing students in Pune. “I have no hatred for him, I love him,” he had said. 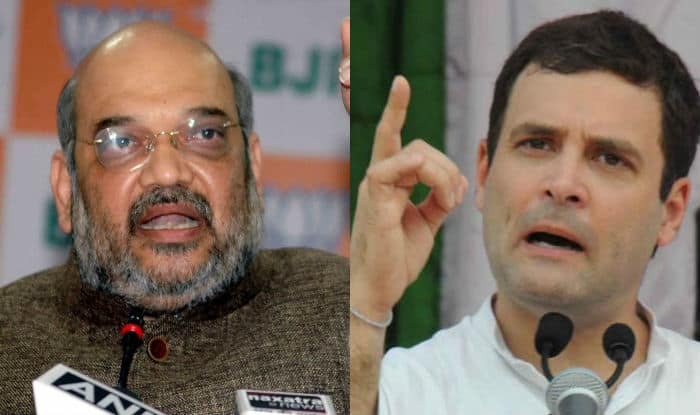 The BJP and the Congress are at loggerheads in the wake of upcoming Lok Sabha Elections 2019. Both the parties are leaving no stone unturned in their attempts to woo the public. The polling for seven-phased general polls will begin on April 11 and conclude on May 19. The counting of votes is scheduled for May 23.